John C. G'Sell, D.D.S., M.A.G.D. We like getting to know our patients and creating relationships which can last a lifetime. Here's a little information about us. Dr. John C. G'Sell has been creating beautiful smiles for almost 30 years. His expertise and drive to never stop perfecting the art of dentistry have driven him to great honors in the dental field. He has been awarded his Masters through the Academy of General Dentistry. This particular accomplishment is only bestowed on dentists who continue their education through a strict testing and comprehensive program. Dr. G'Sell is also a member of the American Dental Association, Missouri Dental Association, Greater St. Louis Dental Association, Invisalign Orthodontic Certification and American Equilibration Society.The American Equilibration Society alone is a commitment of continued education in the field of TMJ treatment. Dr. G'Sell is well versed in the ability to treat and maintain proper jaw joint health. He personally fabricates appliances custom made to each patient in need and provides constant care in order to restore proper alignment, function and care in respect to the TMJ. Dr. John G'Sell is also an Invisalign Orthodontic dentist. He is certified to provide orthodontic treatment for the straightening of teeth in the office through the process of clear aligner appliances. This treatment has been very popular with our patients wanting to improve the look and functionality of their smile.He provides treatment for general, reconstructive and aesthetic dentistry for the whole family. When not at the office, he spends his time bike riding. He has participated in many local bike rides and loves spending time with friends on the road. Eva has been a registered dental hygienist for 30+ years. 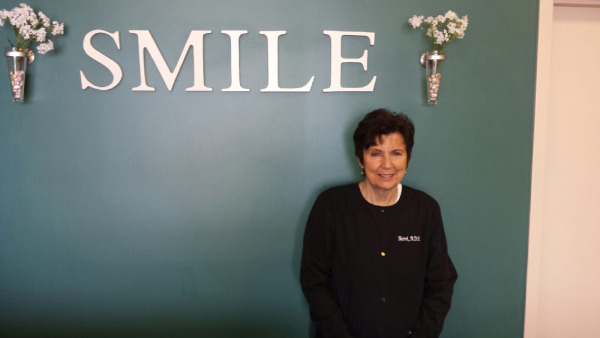 She graduated from St. Louis' Forest Park Dental Hygiene School in 1977. She is well versed in periodontal treatment and education. Eva works Tuesdays in our office. Heather is a fresh new face around the office. 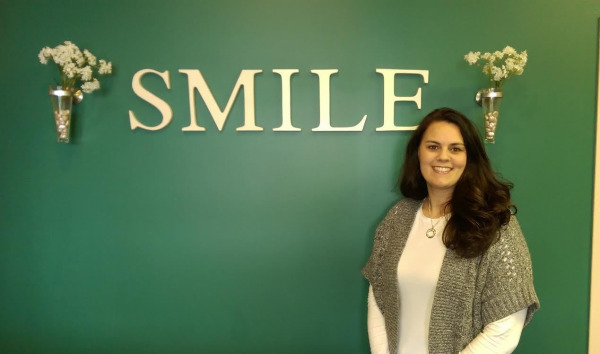 She is our office coordinator, and also has experience in the dental industry as a dental assistant. She is our "Jack of all trades" and works Monday through Thursday. Heather also has two children, a beagle named DUDE, and enjoys sports; especially football and baseball. 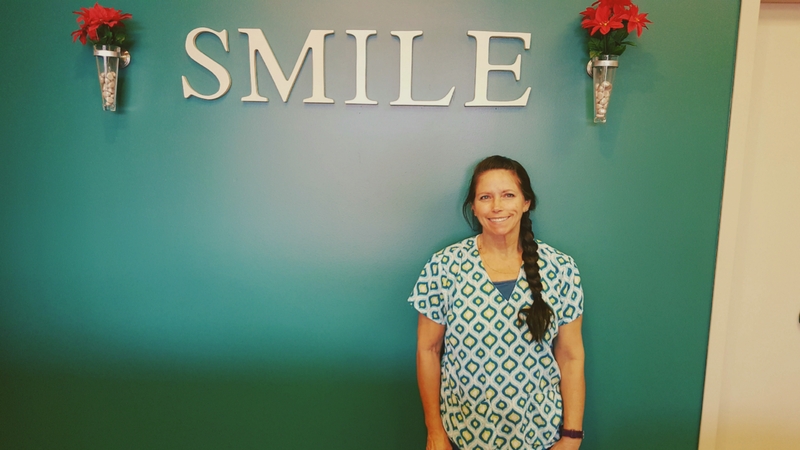 Sherri has been a part of the team since 2014 as a dental hygienist. She studied dental hygiene at Forest Park Community College. Sherri is in the office Mondays, Wednesdays and Thursdays. In her free time Sherri, enjoys spending time with her children and grandchildren. She has two daughters and four grandsons. 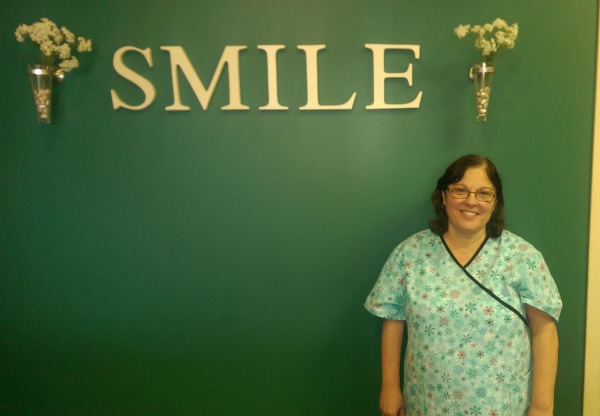 Sandy is another one of fantastic dental assistants. She has been in the industry for over five years, and with our office for over a year. You will be able to visit Sandy Monday through Thursday, here at our practice. Sandy spends her free time having fun and listening to rock and roll, and also enjoys time with her animals. She has her hands full with dogs and a cat!